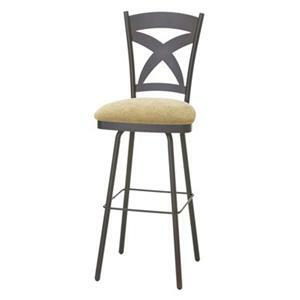 Curved for your comfort, enjoy the simplistic beauty of this arrow back swivel bar stool. Metal swivels with steel ball bearings allow you to twist and turn with ease. 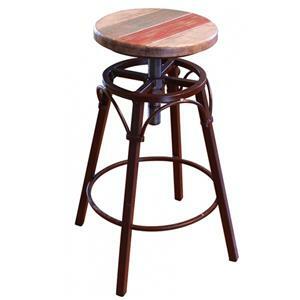 Perfect for breakfast bars, or entertainment bars or game rooms, make this curved back stool an addition to your home! 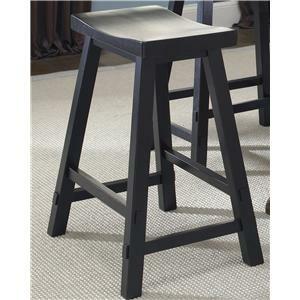 The Classic Oak 24" Turned Leg Curved Arrow Back Swivel Bar Stool by Intercon at Dinette Depot in the Brookfield, Danbury, Newington, Hartford, Connecticut area. Product availability may vary. Contact us for the most current availability on this product. 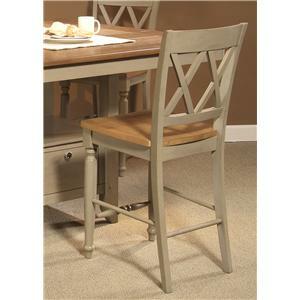 Finish & Paint Options Chestnut and Burnished Finishes available. Enjoy the warm, inviting look of naturally and burnished finished solid Oak with the Classic Oak collection. Featuring various storage pieces and seating combinations, bring the look and feel of quality, handcrafted design into your decor. Pieces feature turned legs and "arrow" detail backs, while storage pieces provide elegant glass paned doors and several ample sized areas to store glassware, silverware or China within safely. 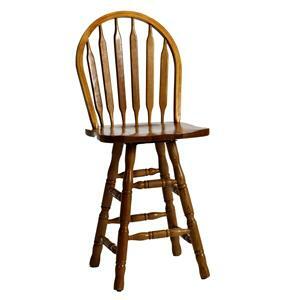 Built from solid Oak over Lumber Core frames, the Classic Oak collection provides durability to last for years to come. 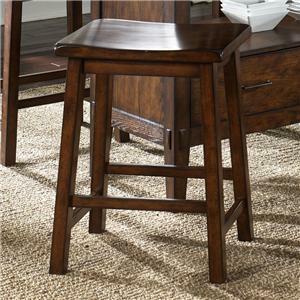 The Classic Oak collection is a great option if you are looking for Traditional furniture in the Brookfield, Danbury, Newington, Hartford, Connecticut area. 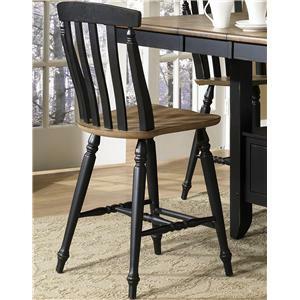 Browse other items in the Classic Oak collection from Dinette Depot in the Brookfield, Danbury, Newington, Hartford, Connecticut area.